But first, I have to share why I turned my raw cheesecake world upside down and decided to bake one for a change. The truth is…I have a problem. I’m a raw cheesecake fiend! Anything and everything that enters my kitchen ends up being “cheesecaked”. Daily. Raw. No-bake. Cant. Stop. 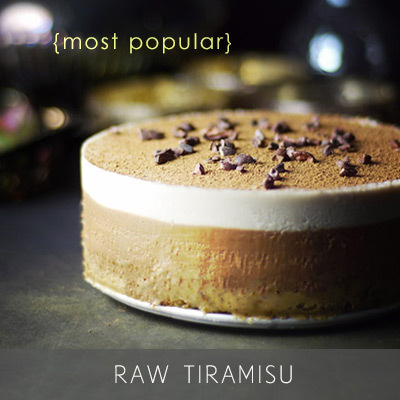 Half my book is raw cheesecakes… There’s been so much cheesecake in this space lately that I seriously started considering renaming the blog “Unconventional Caker” :) The bottom line is, raw cheesecakes are MY WORLD right now. So what would you put in a cheesecake with no gluten, dairy, eggs or refined sugar? The only other “no” you guys requested was no pumpkin, because not everyone can find it in certain places in the world. (Pumpkin was my first thought actually; check out my friend Natalie’s super quick recipe for instance). Some initial ideas were pumpkin, silken tofu, cashews. I also considered whipping out my old baked cheesecake recipe. I used to make a killer one, but sadly it was full of tofutti and buckets of sugar. Mainly, I really wanted to keep things simple and as “normal” as possible. One of the snags I ran into was that I live remotely, which means shopping happens very rarely, especially middle of winter, which translates into making things only out of what I have on hand in my pantry until the next shopping trip. It took many tries to perfect this recipe. I feel most of those attempts were super close and just required a tweak or two each, but nearly each time I didn’t have more of the ingredients needed to retry with the tweaks, so I had to start over with a brand new idea for the next attempt each time… until suddenly it happened!!! Turns out cashews + yogurt = cheesecakey tanginess! I have a super oldie recipe on here for a no-bake cheesecake using cashews and plant-based yogurt and it’s always been a massive hit, so this combo is making a reappearance in baked form. On that note, I’m positive any plant yogurt should work. I used one that I quite like — non-gmo, agave sweetened, no carageenen, and so on. As clean as the commercial ones come around here. Use whatever yogurt you like most though — the flavor might differ a touch, but it’ll get you there nonetheless I am sure. There was one more little trick to get this cheesecake filling to set. Agar is the typical go-to for something like this. I do love agar, but somehow the thought of the extra step of first cooking and dissolving the agar prior to adding it in just didn’t seem appealing (especially facing so many attempts at this baked cheesecake thing — agar is expensive!). Plus I know that every time I share things with agar a bunch of you run away because it’s intimidating to work with it if you’re unfamiliar… So instead I used some psyllium husk and that was perfect. Super pleased with the results and I love that it’s such an easy workaround for the agar… Just add it in with the rest of the ingredients and blend. Bake. Cool. Done. The end result is the most delicious MELT IN YOUR MOUTH baked cheesecake. So delicate, almost brie-like when you bite in (though I must admit it’s been a loooong time since I had brie; hope my memory isn’t deceiving me ;) ). If you want it a little firmer you can change the ratio slightly — a bit more cashews in exchange for a bit less yogurt (just don’t go crazy there or you’ll lose that cheesecakey flavor). I love this on the delicate side myself. Make sure you let it cool completely before slicing in, and you’ll be all set with simple baked cheesecake deliciousness. P.S. You can find a nut-free recipe version of this cheesecake here. 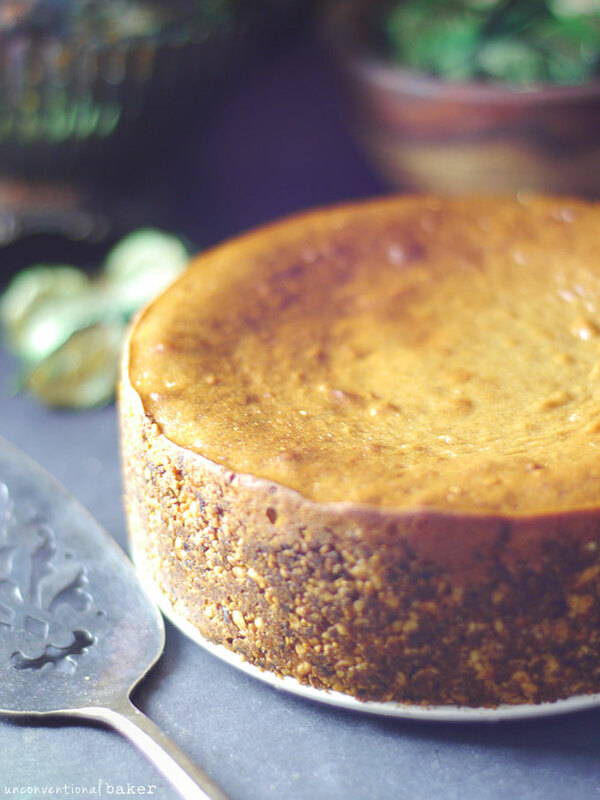 A quick and simple baked vegan cheesecake recipe with melt-in-your mouth texture and tangy, creamy flavor. Preheat oven to 350F. Lightly oil a 6″ springform pan (base and sides) and set aside. Process all crust ingredients in a food processor into a fine sticky crumble. Transfer into the oiled pan press down to shape into a crust with your hands along the base and sides of the pan (I made the sides thin, but the base thicker — just a preference)(Tip: make sure you “seal” the gap in the base when shaping the crust — i.e. don’t leave cracks in the crust, so that the filling doesn’t leak out anywhere while baking). Set aside. Blend all filling ingredients into a smooth mixture in a power blender (a Vitamix works best, otherwise be patient and blend into as smooth a consistency as you can manage). Bake in a preheated oven for 40-45 mins until the top is nice and golden. Remove and cool on a wire rack completely (a few hours or overnight is best)(note the top will sink as it cools, which is normal). Remove from pan, slice and enjoy. Store leftovers in the fridge. Enjoy! Disclaimer: this post contains an affiliate link to the 6″ springform pan and psyllium husk I used. Thank you for your awesome recipes. I am going to try this baked version next. Just finished making your freezer cheesecake. Still got to eat it. Question, why the psyllium husk in the baked version ???? This is soooo good! 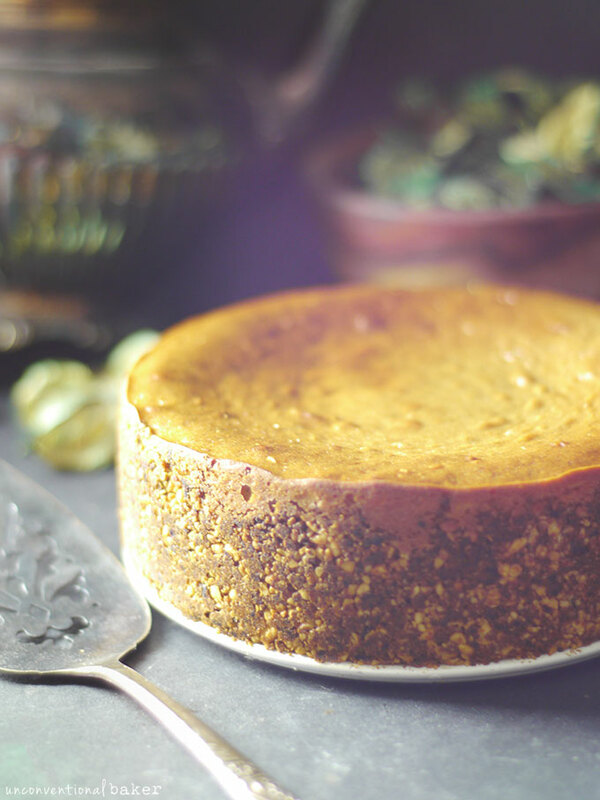 Cheesecake was one of my favorite desserts before I went vegan, but now I can make a healthy, easy version that tastes just as good. The only change I made was substituted milled flax for psyllium husk, and used a different crust recipe. For the crust, do you think I could substitute almonds for the cashews? Hi Elsie, I find the almonds have a different flavor and texture in the filling compared to cashews, so it can be made to work but would need some modifications. If you’re interested I do have a cashew-free version of this recipe on the blog as well that’s quite lovely, so can give that a try. Is there a replacement I could use for the psyllium husk? Hi Alandria. Some of my readers shared that they substituted with an equal amount of ground chia seeds and that worked for them, so can give that a try if you prefer. Delicious! Worked beautifully with macadamia nuts! What?! Worked well with macadamia — that’s awesome. Thanks for sharing! I usually buy dairy-free unsweetened yogurts, so how much more agave should I had to the recipe, as the yogurt isn’t sweetened? And if I want to do this as individual cheesecakes, in a muffin tin, how long do you think they should stay in the oven? Hi Telma, I think 1-2 tbsp extra sweetener should do the trick. I’ve had many readers successfully make this into little cupcakes successfully, but I never tried it myself — my best guess would be to keep an eye on them around the 30-35 min mark. If the tops look like they’re getting too dark, take them out. Let me know how long it took yours if you give it a try. what does the psyliium husk actually do in this recipe. Can it be omitted or substituted? It acts as a binder and a thickener. You can substitute it with ground chia seeds — apparently that worked for some of my readers. What do you think about substituting something like acacia fiber or some sort of starch instead of the psyllium husk? Hi Kev. I don’t have any experience working with acacia fiber, so can’t comment on that option specifically. I think the starch wouldn’t be as good a thickener in this case. Many of my readers have replaced the psyllium in this recipe with some milled chia seeds or flax seeds and reported that worked well, so that’s an option. If that doesn’t work for you, and you give the acacia fiber a try, I’d love to hear how it goes. Hi Emily. I’m so sorry for the delayed reply. I just wanted to say thank you so much for your kind comment. I’m so happy the cake was a hit! I actually haven’t tried freezing this cake (it always goes pretty fast, and keeps well in the fridge, so haven’t had a chance to test it out). I imagine it should freeze and thaw out without a problem though — cheesecakes generally freeze well. If you give it a try, let me know. I’d love to hear how it goes. I suppose using psyllium powder instead of psyllium husk is fine too? Do you think I should adjust the amount used? Hi Valérie, sorry for the delayed reply. You can definitely use the powder, but you’ll need to reduce the amount. 1 tbsp psyllium husk = 1 tsp powder. Hi! 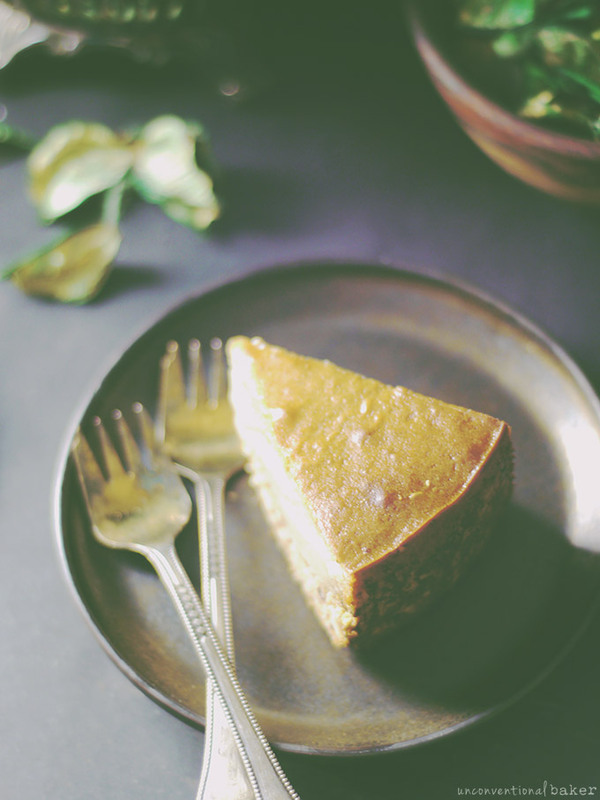 I’ve tried a recipe os a vegan baked cheesecake also made with cashews, but I wonder if it could be possible to substitute the cashews for raw peanuts, for example. Do you know if is it possible? Thank you!!! This looks delicious! Do you think it would work to substitute cream cheese for the cashews? I have all the other ingredients but am trying to use up some cream cheese. Thanks! I think the cashews give it a bit of “body” so I wouldn’t skip them in this particular recipe. But you could replace some (or all) of the yogurt with the cream cheese if you prefer. Bizarrely, I’m very intolerant of the psyllium husks. Actually, we eat and love eggs, it’s only the dairy and soy (and many other things) we are intolerant of. So, I am thinking of just mixing an egg or two into the batter? Might you give me your opinion about that? Thank you! I haven’t tried this with eggs, though I imagine it should work fine. Some of my other readers who couldn’t use psyllium husk used ground chia seeds and said that worked well (see previous comments), so if you’re ok with those then that’s a tried and tested option. 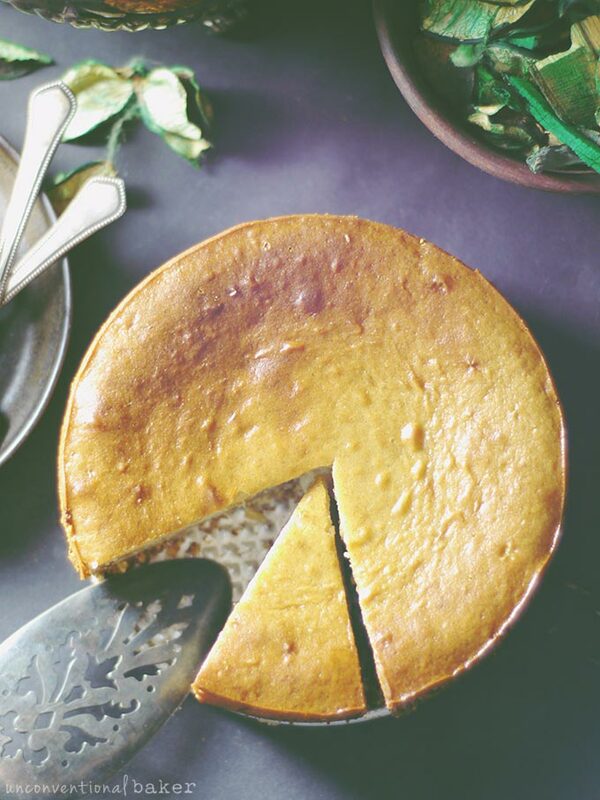 I’m interested in making this cheesecake for my mother, who has problems with both dairy/lactose and gluten, but she also has an allergy to Agave. If I wanted to use a more traditional sugar, what would you suggest, and how much? You can use maple syrup or brown rice syrup, etc. for a straight substitution. If you wanted to go with regular sugar, you’ll need something like 9 tbsp sugar — but this is my best hypothetical guess. If you give it a try, would love to hear how it worked out. Thank you! I just made the filling the black-bottom cupcakes, and it’s delicious! What brand of yogurt did you use? Hi Jane, I’m so sorry to be getting back to you with such a mega delay! ? I used Yoso vanilla creamy coconut yogurt, which is agave-sweetened (here’s their website if you’re curious. It’s a common brand here in Ontario at grocery stores). They also have a nice cashew-coconut version, and a bunch of unsweetened options. Pretty sure yoghurt is dairy. Yogurt is dairy if it’s made of dairy. For this recipe I used coconut yogurt (which is dairy-free). There are many non-dairy yogurt versions made from plant sources (soy, almonds, coconut, etc. ), so look for ones specifically labeled dairy-free / vegan. Hi, not sure if you mentioned the size of the pan you used (couldn’t find it anywhere). I have an 8 inch springform pan – would this recipe be enough for that size? Also, if I were to make them into muffin sized cheesecakes, how many would you reckon it’ll make? And the baking time I suppose will be shorter? Was thinking of making a berry flavoured baked cheesecake – do you think it’ll work if I blend in some berries and bake it as per instructions? BTW, I tried another recipe that calls for silken tofu and less cashew – the texture was great though the taste is less cheesy. Hello. Sorry about that — it does say the recipe makes a 6″ cake at the top of the recipe, but I should have been clearer, so just added the 6″ springform specification to the directions as well. Thanks for pointing it out. If you make this in an 8″ it’ll be a fairly flat version of this dessert. I’d recommend multiplying the recipe by 1.5 for best results. I’ve had readers make this in muffin tins and it worked great. I’m not entirely sure how many it would make as I haven’t tried it myself, but my guess would be about 8, possibly more. I have made this with berry jam swirled in in the past and it worked great. I’m not sure about blending full berries in though as the added moisture might affect the texture & baking time. Jam is a bit better since it’s already concentrated. When I made mine I just alternated adding some of the filling, then a bit of raspberry jam swirled in, then more filling, and so on. It turned out delicious. 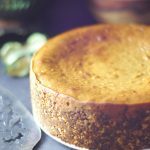 I have tried silken tofu when I was developing this recipe and have since tried some silken tofu baked cheesecakes in general. I agree — the texture is great, but the flavor is a bit different to cheesecake. Thanks! I’ll give it a try in muffin pans with shorter baking time. And will give the berry jam a try. Another question, I read that some readers used ground chia seeds instead – can I use whole chia seeds in same portion (1 tbsp. of whole chia seeds)? Also, don’t they need to be soaked in water to make chia seed eggs as a binding agent? At least that’s how I always use it and how it’s been in many recipes. I think it’s best to use ground chia seeds so that they distribute better throughout the cake and help with texture and binding. You can mill whole seeds in a coffee grinder or something like a magic bullet to get ground chia. No need to soak the milled seeds ahead of time. This looks amazing. I am new to eating this way, so I have a couple of questions before I venture to bake this. My first is, do I need to have a water bath for this cheesecake the way you do with a traditional cheese cake? And my second is, why do you add the psyllium husk? Does not adding this ingredient ruin it in some way or can this be omitted? I have IBS, and this product causes me discomfort and pain right now. I am changing my eating habits so that I can heal my gut. In time I know that I can add the psyllium husk, but for now I would like to leave it out if it does not have a greater purpose than the health value. Thank you. Your site us amazing. I talk about it all the time at work. I didn’t use a water bath and my cake turned out just fine, so I’d say no need. The psyllium husk is the binder and thickener in this recipe. Some of my readers shared that they used a tbsp of ground chia seeds instead and that worked fine for them as a substitute — would that work for you? Ground flax seeds would work well too. P.S. I’m glad you’re enjoying the recipes and blog! :) Thank you for sharing it with others. Help! There is no explanation of soaking the nuts. How do I do this and for how low? You can do a quick soak by placing them whole (peeled) in a glass dish, covering with boiled water and letting them soak for like 15-20 mins. Or you can do a raw nut soaking technique by covering them in room temp water and letting them soak for 4 hours or even overnight. Can i use dairy yogurt? Will the texture hold? Hi Karishma, I haven’t tried but I’m pretty positive it should work so long as you pick a thicker yogurt (like Greek). Hi Audrey! I’m not sure how old this post is so I hope you see this comment…I have a bag of Bob’s Red Mill Gluten Free Pie Crust Mix that I’m dying to use. Also, I do not have a spring form pan. My kitchen is very small and I really don’t want to buy ONE MORE THING to store in there lol. I also have IBS and am sensitive to a heavy load of nuts at one sitting. All of that said to ask if you think I can use the gluten free pie crust as the crust for this baked cheesecake? I’m not a baker, but I really want to try my hand at something for Thanksgiving…problem is that I don’t know if doing it this way would be ok. If it is, I would bake the pie crust, let it cool, then pour in the cheesecake filling of your recipe, then put it back in the oven again right? Thank you so much! 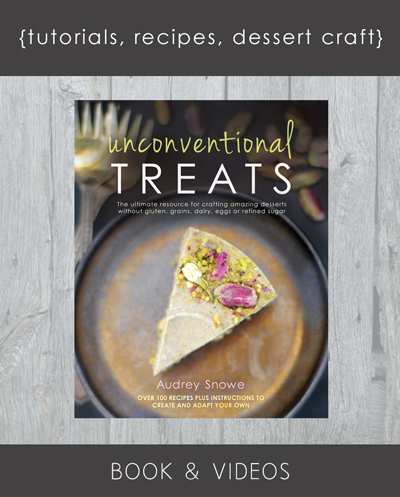 Audrey, sorry to comment again, but I just saw the crust for the candied pecan cheesecake and that sounds so appetizing to me! How would I go about using that crust if I chose to use that instead of the bob’s red mill crust? bake the crust first, then add the cheesecake filling, then bake again? Hi Nikki. You can definitely use the candied pecan crust for this. You’ll need to triple the recipe and otherwise follow the directions just the same as this recipe (bake crust + filling all together as per original directions). As far as a pan goes, you don’t have to have a springform, though it is much simpler to work with. You can use a similar-sized pan with some alterations. Just beware that if you go to say an 8×8 square pan, you’ll need to probably double this whole recipe as otherwise you’ll end up with a very flat cheesecake. If you have any smaller baking containers (I sometimes improvise with oven safe tupperware), then you can just use this recipe quantity as is. For a non-springform, you’ll need to line the pan along the base and sides with parchment paper so that the cake comes out. P.S. Since you mentioned you’re not a baker, I recommend giving this recipe an initial try first just so you get to know it and there are no surprises for when you go make it for thanksgiving — especially if you’re serving it to others ? Thank you so much for getting back to me so quickly! Ok, so I think I’ve decided to buy the springform pan because I’m getting so inspired just reading your blog lol. But the only ones I saw at the store today came in a pack of 8in, 9in, and 10in sizes. If I use the 8in one then how should I increase the recipe for both the oatmeal based crust as well as the baked cheesecake? And again, thank you so much for your help! For an 8″ I would do x 1.5 for the filling, and x 4 for the candied pecan crust. For the 9″ I’d double the filling and x5 for the crust. I’d go with the 8″ pan personally — most of these recipes are quite filling and work well in the smaller sizes. All that said, nothing wrong with a more traditional size (8″ or 9″). If you wanted to know how to convert more easily, there’s a cake pan conversion chart at the bottom of the post that you can download for reference. thanks for that receipe, it looks delicious an is exactly what I was looking for. I’ll use a 10″ pan (or to be precise 26cm) and would prefer a little flatter cake, so I double up ingredients, right? What baking time would you suggest? Hi Anna, yes, if you want it a bit flatter, doubling should be fine, although I’d probably do x 2.5 as a preference (good balance — not too flat, not too tall). Hi ! I’m going to make this cake next week in my cooking class at school but i’m wondering that the psyllium husk has to be soaked in the water or do anything with it before ? Hi Pupey. No, no need to soak the psyllium or anything. Just add it in with the rest of the ingredients as per directions and you’re good to go. Good luck with the class :) Enjoy the cake! Hi What can you substitute for cashews. Can i use sunflower seeds instead and sunflower butter or coconut oil? Hi is there something I could substitute for the yogurt, not using tofu? I think the yogurt in combination with cashews is what gives it that “cheesecakey” flavor. Other substitutes I tried worked ok in terms of texture, but just didn’t have the cheesecake taste… So I don’t know. I know you said no to tofu, but just to give you an example, I tried it with tofu and that was the result — good texture, but the taste not so great. You can give all cashew butter + some lemon juice a try instead of the yogurt, but I don’t really know how that would turn out as I haven’t tried that myself. Also, one of my readers made it with coconut cream. The inside was a bit runny, so not as firm, but they said the flavor was great. Other than that I can’t think of any other ideas… If I think or hear of something else I’ll let you know. 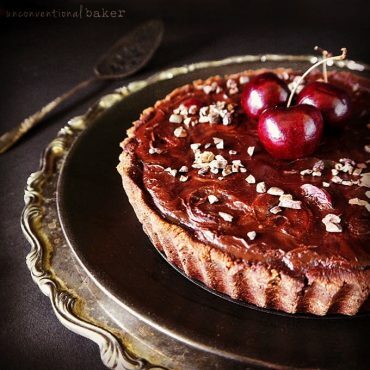 Hi, I am new to baking and came across this recipe and would love to try making this little beauty. I was just wondering… as I only have a 7 3/4″ pan how much will this effect the cooking time? Also I would rather have the cheesecake deeper like shown within the images so using a wider pan surely is not ideal. Should I use 20% or so more of each ingredient to compensate and how would that effect the outcome and cooking time? I have no idea how long ago this recipe was posted but if possible I would really appreciate your input and help. Sorry for the delayed reply. For a taller 7 3/4″ cake, I would increase by 50%. A 30% or 40% increase would probably be fine too though, just won’t be as tall. I know it sounds like a lot, but the volume difference is big when you go up the pan sizes. You probably won’t need to bake it too much longer. My best guess would be about 55 mins. Just keep an eye on it and if it looks like it’s starting to brown too much, take it out. Wow! This cake looks SO mouthwatering! Can’t wait to try it out as traditional cheesecake is my all time favourite and so far, the frozen ‘cheesecakes’ just haven’t done the trick for me (although super tasty on their own) :-). After reading all the amazing comments about how creamy and delicious it is, I’ll have to try and make it! Probably gonna make a different crust though and top it with berry chia jam, but I’m super excited to try out the filling! I’ve made this with jam before and absolutely loved it. 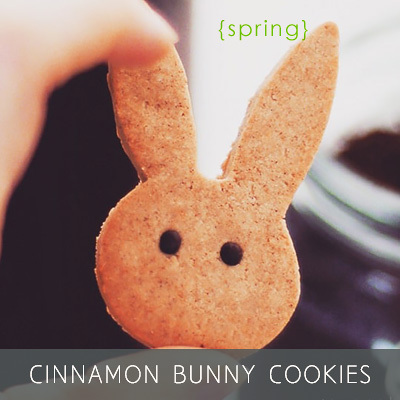 Enjoy it & happy baking! Will the filing mixture set up on its own w/o baking? I hate the thought of killing all of the beneficial bacteria in my lovely homemade coconut yogurt! Is it ok to use ground chia or flax seeds instead of psyllium husk. I haven’t tried it personally, but one of my readers made it with ground chia seeds and said it worked perfectly. For a 5″ version of this I used only 1/3 of the recipe. Also bake it a few minutes less, since it will bake a little faster. I would like to try this cake is what you think it is possible to do so in advance and freeze it? I love open your blog every day and discover new recipes! Thank you so much :) Glad you’re enjoying the blog. About the cake, I haven’t tried freezing this one, but going on past experience with similar recipes I think it will do great frozen. Does it matter how long I soak the cashews for and in how much water? Hey Phoebe. It depends on your reasons for soaking. For the purpose of the cake only, you basically just want to re-hydrate and plump them back up so that they blend smoothly. You could achieve that by covering them with boiled water and soaking for 15 minutes — that’s a quick soak. This would technically make the cake not “raw” though. If you want it to remain strictly raw or if you’re soaking to make them more digestible, you could soak for 4 hours or overnight in room temp water. Hi, it´s look awesome! I wanna totally bake this in this week! But can i replace cashew butter with peanut butter, or something else? Hi Lenka. Someone just made it with peanut butter and said it was great. Another person made it with almond butter and loved it too. I think cashews + yogurt give you the most cheesecake-like flavor. The other nut-butters will add a taste of their own, but it will still be great. I have a similar recipe on the blog for a nut-free version made with sunflower seed butter and I love it most next. What kind of yogurt do you use? I’ve used coconut yogurt and soy yogurt. The brand I use is a local one called YOSO, and they have agave sweetened yogurts (my favorite one from them is the cashew almond yogurt, but I didn’t have any around when I was making this recipe). Looks awesome! Do you know if another nut would work in place of cashews? Hi Karen, there’s a similar baked nut-free version on the blog. For this one, I think the pairing of cashews with the yogurt specifically is what gives it that cheesecakey taste. I think other nut butters will work in terms of consistency, but will affect the flavor. would you say it is possible to replace the yogurt with coconut whiped cream or coconut cream? do you maybe have some suggestions for a cream cake filling with these inngredients? I think coconut cream might possibly work, though I haven’t tried. I tried it with extra firm silken tofu and the texture was great, but it lacked the “cheesecakey” taste & tang, so if it’s mostly the texture you’re after then that would work. I made the cheesecake today. The centre turned out beautifully but the crust was burnt. I baked it for 40 mins. At 30mins the centre was not cooked enough. Any tips? 2 questions: what size pan did you use? …did you change anything in the recipe? … and 3. Ok 3 questions :) … have you measured your oven’s temperature accuracy any time recently? Assuming you used the 6″ pan and didn’t change anything in the recipe, it sounds like your oven may be a bit too hot, so the outer parts bake quickly but the inside doesn’t get a chance to catch up. In that case, I’d try lowering the temperature and baking longer instead. Oven temperatures can fluctuate wildly depending on your oven. I know from experience of baking in a great many of them over time :) I have an inexpensive oven thermometer (cost about $5 at Bed Bath & Beyond) and I check up on the oven temp accuracy every so often to make sure it’s ok. I’m currently baking in one that’s fully accurate and in another that’s at least 25F off… If you want more info on this, you can read this very oldie article on the subject. How much is one cup of yogurt in ml. or gr? It’s about 240 ml for the cup size I use (250 ml is fine though too. Both sizes will work). 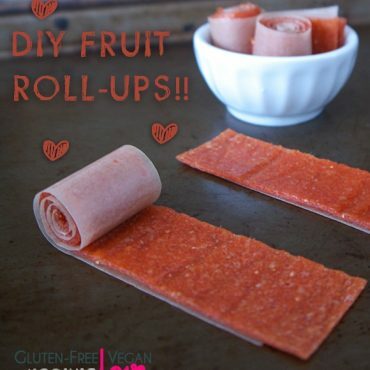 making this asap!!! it looks uhmeeeeeeeezing. I’m shocked. Amazed. It really is pretty darn conventional. :o Although psyllium in a cheesecake is still pretty unconventional, I wouldn’t be too worried ;) And I’m very excited about that little addition, you are giving me a new ingredient idea to play around with (plus I just bought a big bottle of it so I need ideas ha). The texture looks so dreamy, and I know I already said it on IG but that golden top <3 The ingredient confines you manage to work in and still pull out amazing cakes is just unbelievable! 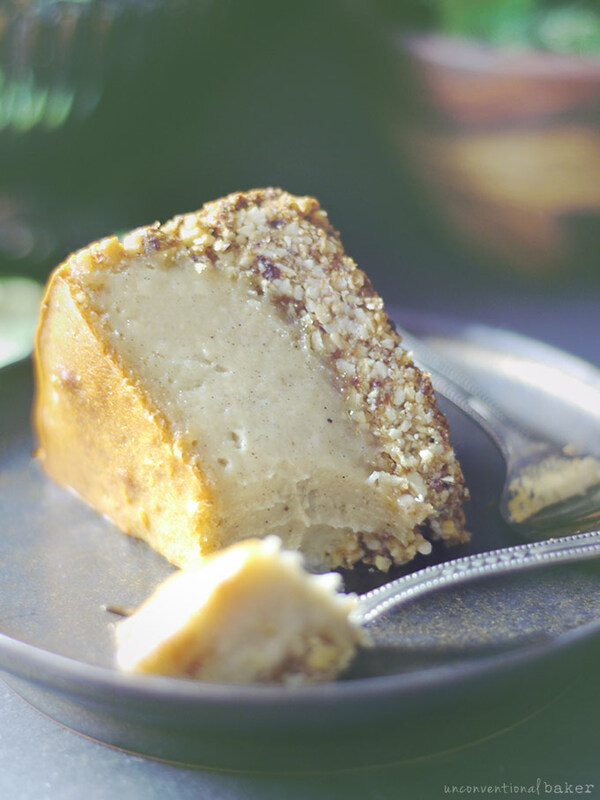 I am aways use cashews in raw desserts that I would never thought of using it in baked ones! But this sounds interesting, and creamy and delicious! An I know — I was just trying to think of things I had on hand that help with that cheesecakey flavor, and cashews are definitely right up there. Delicious, neutral, good texture, a little cheesecakey. Perfect — baked or raw. Really, when I saw this in my feed yesterday….I thought it was one of those hard cheese (smelly!) round you see in the grocery by the deli counter…hahaha! I’m so glad it’s not….and I’m glad it’s just plain voodoo magic instead! Lol. I know exactly what you mean :D I haven’t made it to cheeses on the blog yet — just sticking to cakes for now. But it does look like a real cheese round. Hi, you mention agave in the recipe, is this agave nectar? also, what is a sub for ground psyllium husk? i cant get this in the UK! Agave nectar or syrup will work. About the psyllium — I haven’t tried this recipe without it yet. It acts as a thickener and binder, and helps the mixture set. You can try to replace it with a few tbsp of a starch (tapioca, etc.) — I can see that working, though the flavor might change a little. If you try that I’d love to hear how it goes. I might give it a try next time too just to see what happens. The psyllium husk powder is really easy to work with though (plus it’s good fiber ;) ), so if you can order some I’d say give it a go. Thanks Dani! This reminds me — someone just shared that they made this with ground chia instead of psyllium husk and that it worked great. I haven’t tried it, but seems a good alternative. Their cheesecake looked fantastic. Am I looking at the right thing?! Hi Joanna. Some people use it as an extra source of fiber in the form of a supplement in a concentrated form. It is used regularly in baking though and doesn’t have a laxative effect in that setting (especially given how little of it there is spread through the cake). 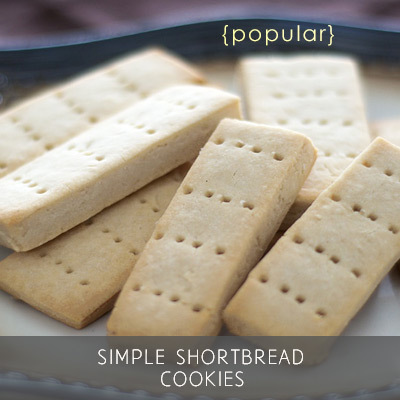 In baking it acts as a minimally processed natural binder and thickener. 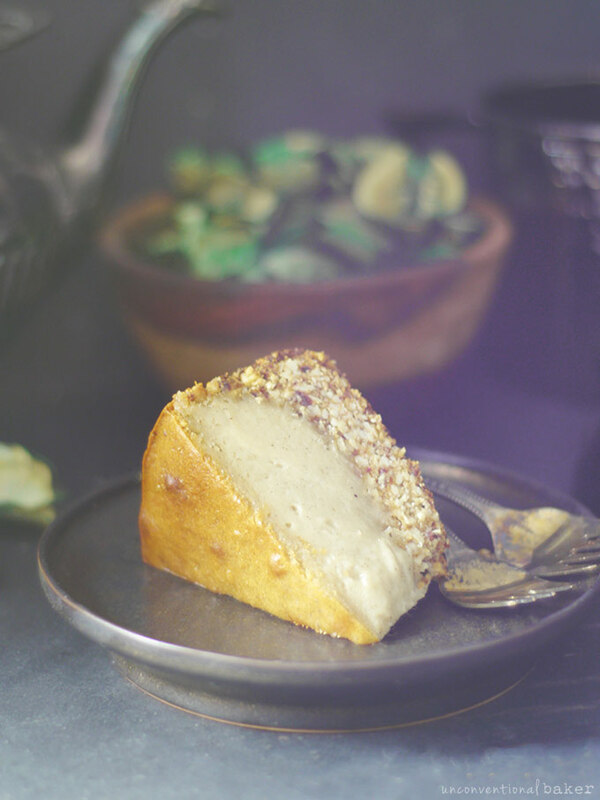 If you’re not feeling it though, a few of my readers made this cake successfully with milled chia / flax instead. The cake does not have any laxative effects ;) — tried, proven, and tested on many. Thanks! I wasn’t implying that the cake will have a laxative effect ? Aw, thank you Annelina :) And yes, gosh, so creamy. I love how it turned out, especially with those ingredients — amazing how much diverse stuff you can create with them.